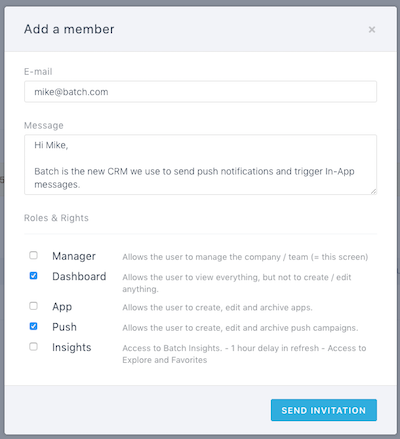 You can invite members of your team and grant them different permissions depending on their role in your company. Customers on the Startup plan (and above) can add new people to their team. 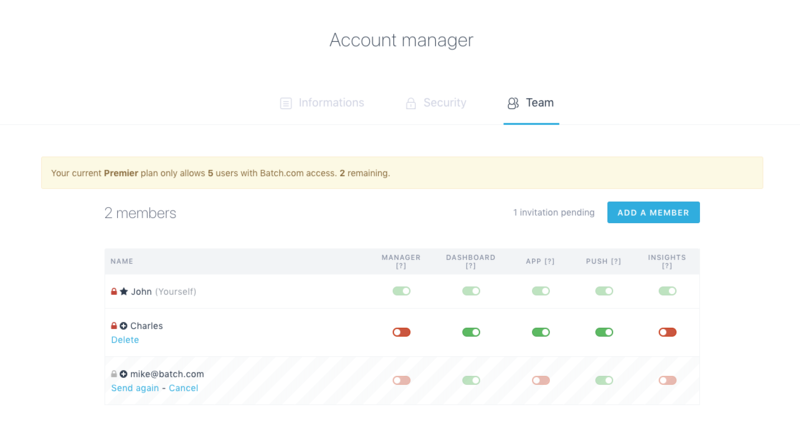 This enables your tech, marketing and editorial teams to work together on the same interface with different accesses to Batch's features. 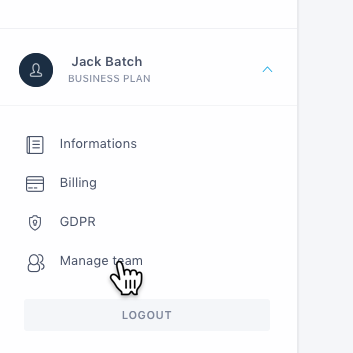 Manager: Grants full access to company account (team members, users permissions, etc). Note: an account can have more than one Manager. Dashboard: Grants read-only access to the dashboard. Dashboard users will not be able to create nor edit campaigns. App: Grants users rights to create, edit, and archive apps. Push: Grants users rights to create, edit and delete campaigns. Insights [deprecated]: Gives access to Batch Insights. Email address of his first account. Email address of the team he wants to join. We will add him to your team with all the apps he created with his previous account.